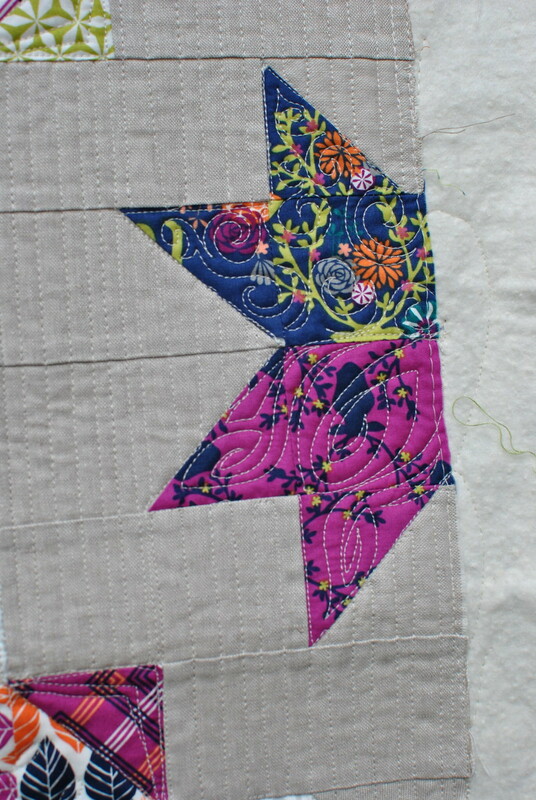 This post is going to be a big pic heavy, because I love this quilt so much! 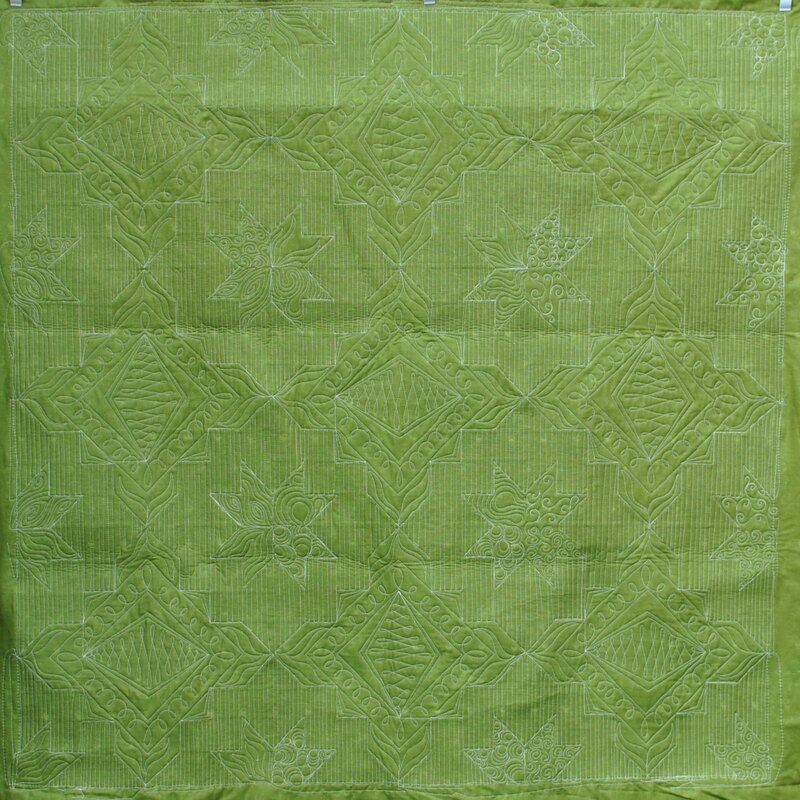 I quilted this paper pieced "Florentine" pattern for Sew Many Creations. The background is Essex linen, and it has such great texture against the cotton prints! I went with my favorite background - straight lines! They are about 1/4" apart, but I didn't use a ruler so they have a bit of variation to them. 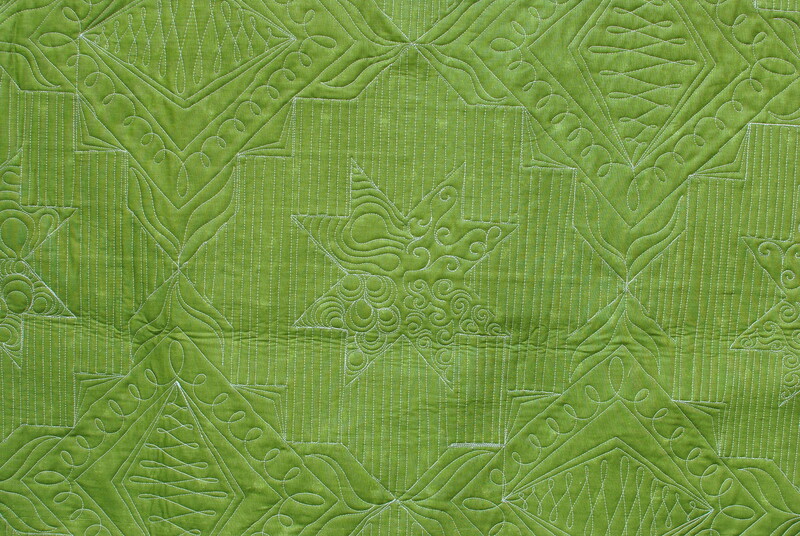 All of the blocks are quilted the same way, but the center area is rotated 90* from one block to another. 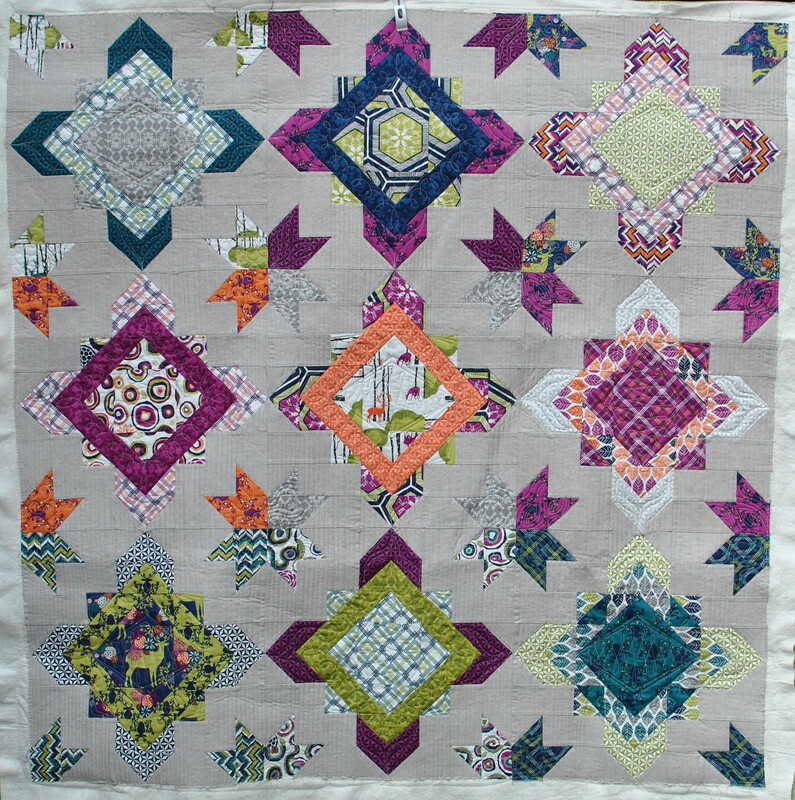 I don't like to give a quilt a definitive top or bottom, unless it was designed that way, so I like to rotate the designs a bit! 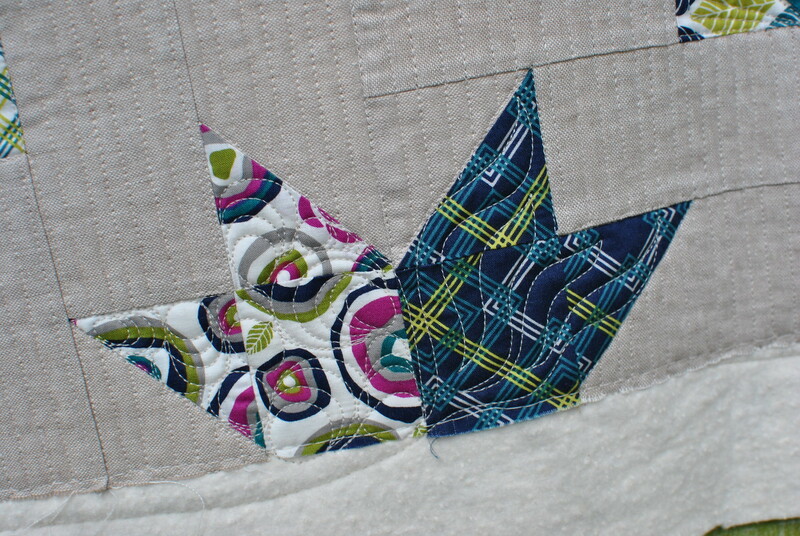 The blocks have arrow shapes in the corners, and when these arrow shapes meet up they make great stars! 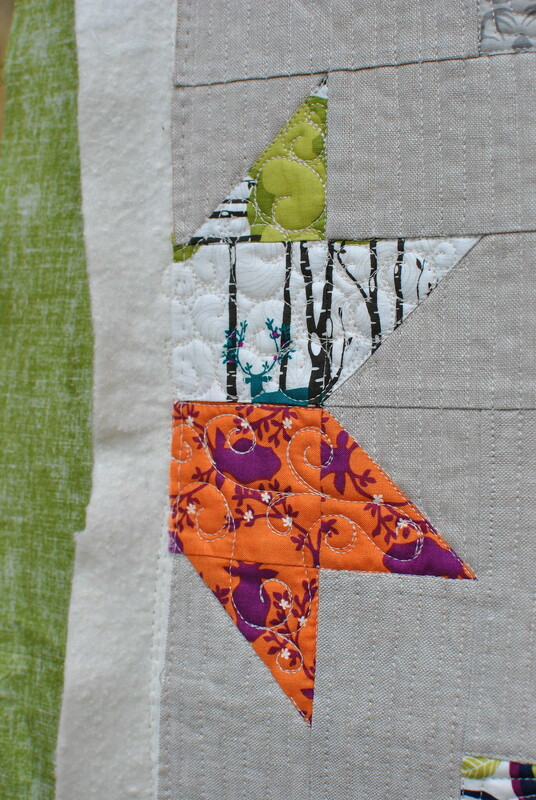 I quilted a different fill in each arrow, but kept the fill consistent by fabric. Just another trick I use when I'm trying to keep track of several different fill patterns through a top! And here's the back! I really love how the design looks on the back of this one. It's always so fun to quilt for others! Beautiful work, you should be so proud. You have done a lovely job! 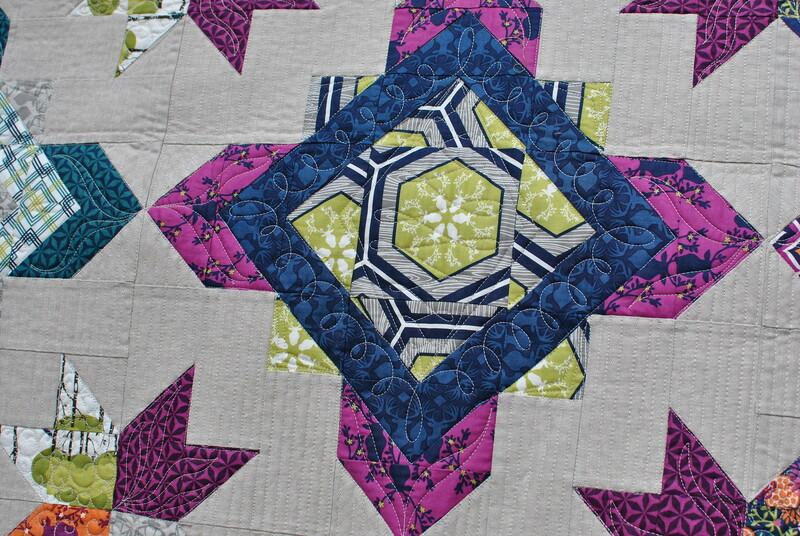 I love everything about this quilt except that it is paper pieced. 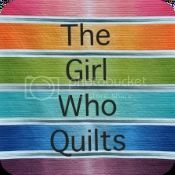 :-) The colors and the quilting are stunning. I like, I like. 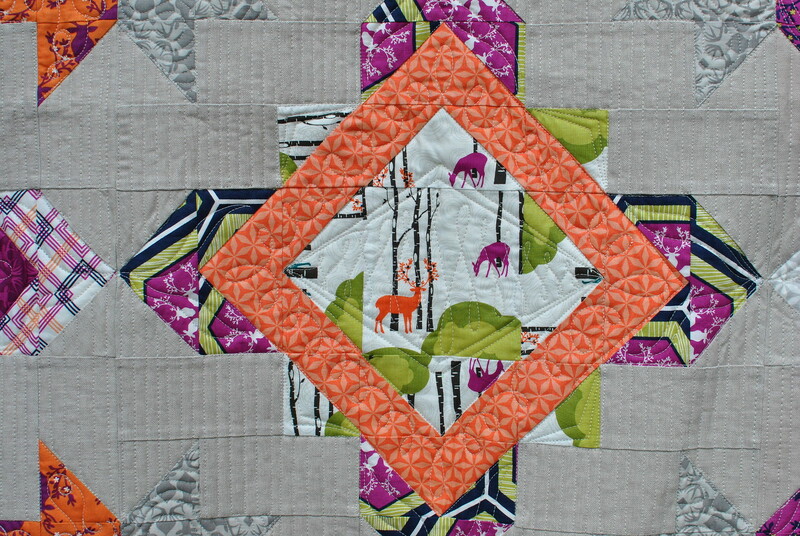 The simplicity of the designs are perfect for this quilt. Christmas in July Tutorial for Benartex!